At the tender age of 4, Master Tyger Morgan began his Tae Kwon Do journey. “I had a lot of energy as a kid. My mom felt Tae Kwon Do was a great way to use that energy in a very positive way.” It was indeed a positive way for him to use that energy, and 22 years later he is still integrally involved in the sport he loves. 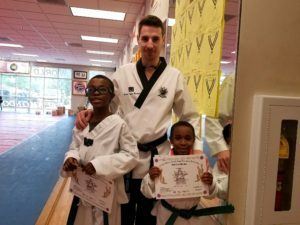 An instructor since age 13, Master Morgan now serves as the Head Master of the Fayetteville location of Master Shim’s World Class Tae Kwon Do. He is a man of varied talents, who enjoys longboarding in nice weather, and hanging out with his dog, Harley. Here’s more about our instructor, Master Tyger Morgan. What is your belt level? I am a 5th Dan black belt. Why did you decide to take classes at Master Shim’s World Class Tae Kwon Do? As a child, my family and I moved around a lot which meant I was always going to different Tae Kwon Do schools. Out of all of those schools, I felt Master Shim's was the best because of his energy and passion he put towards every single student in every class. Did you have any problems/issues Tae Kwon Do helped you overcome? I was bullied as a child in elementary school. 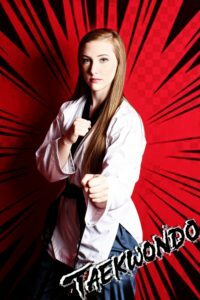 Tae Kwon Do gave me the confidence to talk to my teachers and parents about what was going on, and inevitably stand up to my bullies. As a child, I was very shy and quiet. Tae Kwon Do gave me the confidence and self-esteem to become more outgoing and comfortable speaking not only to one person, but to crowds of people. 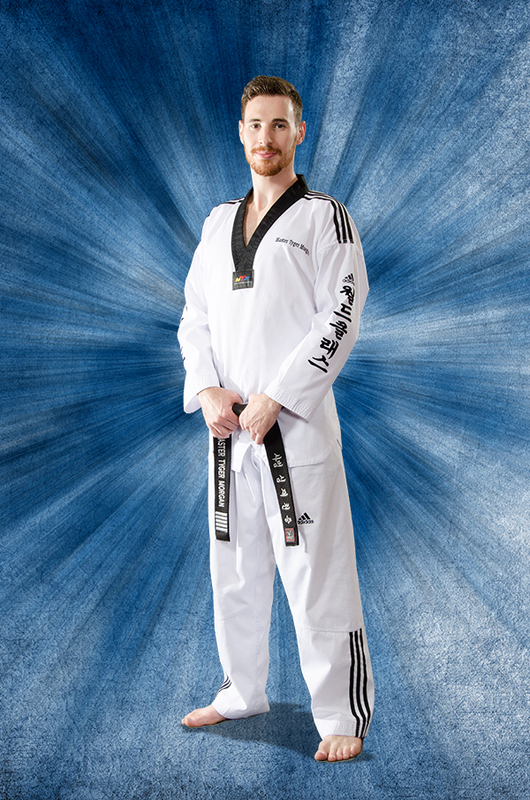 What are some of your Tae Kwon Do accomplishments and achievements? I have received Medals in National and International tournaments, such as the Junior Olympics, and the U.S. Open. I have also participated on demonstration teams, performing in front of thousands of people. What changes have you seen in the students? 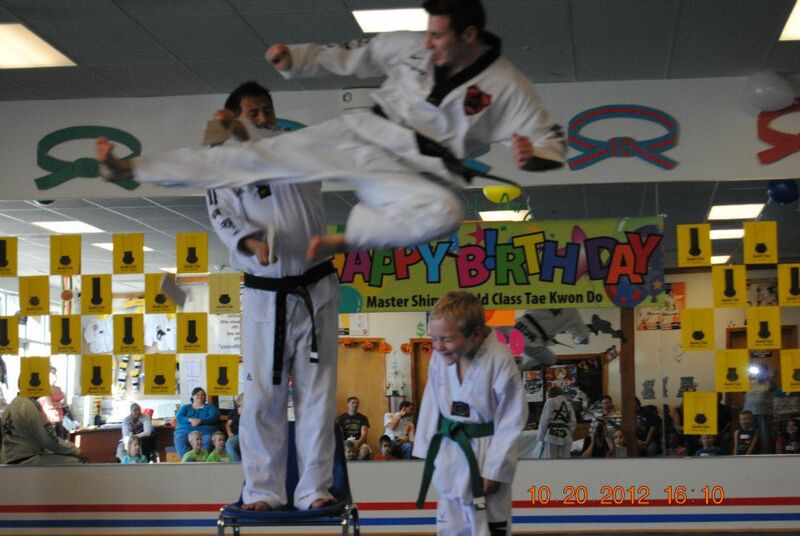 Tae Kwon Do helps students in many different ways. It is not just a hobby or a sport, it is a lifestyle. 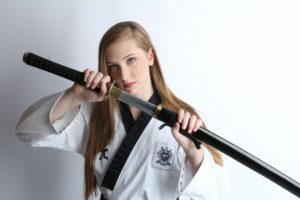 It helps students of all ages overcome many different personal challenges; whether it is learning to deal with anger, lose weight, be more confident, or learning to protect oneself. Why would you recommend Tae Kwon Do to others? I would recommend Tae Kwon Do to others because it helps them become a better version of themselves. Posted in Uncategorized | Comments Off on Did You Know . . .
Students of Tae Kwon Do learn movements, commands and instruction in Korean. They endeavor to immerse themselves more into Korean culture. There are 24 letters in the Korean alphabet. It consists of 14 consonants and 10 vowels. The shapes of vowels are based on three elements: man (a vertical line), earth (a horizontal line) and heaven (a dot). The sounds of certain consonants change depending on whether they appear at the beginning, in the middle, or at the end syllable. Korean can be written in vertical columns running from top to bottom and right to left, or in horizontal lines running from left to right. 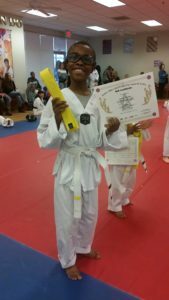 Peachtree City instructor Raenah Frishe’s parents led her to Tae Kwon Do. They wanted to continue their martial art’s education, and she became intrigued. Six years later, it has provided character traits she needed. “It has improved my confidence and self-esteem,” Raenah says of Tae Kwon Do. She has enjoyed her four years as an instructor and loves the challenge it brings. Here’s more about our instructor, Raenah Frishe. I am a third-degree black belt. 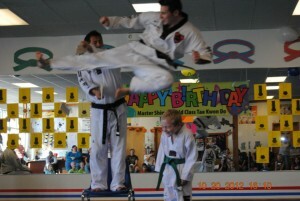 It had a great curriculum, wonderful instructors, and was the best Tae Kwon Do school in the area. Tae Kwon Do has definitely helped me come out of my shell and be less shy. I have competed in numerous tournaments including the U.S. Open, USAT Nationals, and ATU Nationals. I am also a part of the MSWCTKD poomsae team. Students tend to become more confident and improve physically (endurance, flexibility, etc.). I would recommend it because not only is it a fun activity, but it is also great exercise and teaches life skills. It is great exercise, teaches you self-defense, and helps to relieve stress. Plus, it’s fun!